With only a week and a half left until season opening night, the heat is on and camps are getting intense. First roster cuts have been made with some young prospects still having a chance to crack the opening night roster. With that being said, let’s have a look at some unsung rookies who are still in the mix to make the team and have potential to surprise. The Bruins signed Finnish center Joonas Kemppainen in May after his strong performance at the World Championships where he collected nine points. Kemppainen spent his whole career in his home country of Finland, first with HPK followed by five years with top team Karpat Oulu. The big center doesn’t possess high-end offensive skills, but shows a decent two-way game. Therefore, don’t expect too many points from him next season if he makes the Boston team. While the first two center positions are untouchable, the non-signing of Carl Soderberg might open a spot for Kemppainen on either the third or fourth line. He will compete against players like Ryan Spooner, Alexander Khokhlachev and Chris Kelly for a bottom-six center position. Bruins General Manager Don Sweeney on Kemppainen: “You know, he’s a big, strong player, he’s responsible, he’s 27 years old, so he’s been through the pro ranks and he’s ready for it. He’s got some heaviness to his game, but you look at his offensive production was pretty darn good this year in particular, but really the past couple of years. He’s been very, very consistent and he rolled that right over into the World Championship where, again, he was both very reliable and accountable as a two-way player but also produced offensively, which is huge for us.” Kemppainen sounds like a perfect Bruins player with his work ethic and would fit very well in a bottom-six role with the club. I already have written quite a bit about Joonas Donskoi because I really like this kid and the way he plays. I am very excited to see how he will do this season and if he makes the team straight out of camp. In my opinion, he definitely has the skills to do so. The question remains where he would be a good fit. The Sharks have a deep pool of young emerging wingers like Melker Karlsson, Tomas Hertl, Matthew Nieto, Barclay Goodrow and Tommy Wingels, who all made the team last year. Additionally, Nikolai Goldobin pushes hard for a roster spot this year. Donskoi impressed me with his high energy level, good puck protection and effective two-way game at the Worlds, where he had eight points in as many games. He is very strong on his skates and in my opinion NHL-ready. I look forward to his first games this season. The Columbus Blue Jackets have a lot of highly touted prospects such as Oliver Bjorkstrand, Sonny Milano or Zach Werenski. However, they were cut in the past week or sent back to their junior teams. The only exception is winger Kerby Rychel who is still with the team and it looks like he has an outside chances. He spent the last season in the AHL and played in five games for the Blue Jackets so it might not be much of a surprise for Columbus fans if he should make the team. Still, I decided to include him here as he is still a dark horse to many hockey fans outside of Columbus. Rychel might not be as skilled as Milano or Bjorkstrand, but he plays with an edge and is someone who likes to get involved physically. Rychel fits into the role of a power forward and this could be his advantage over the other Blue Jacket prospects. I don’t see where he would fit in right now, as the starting lines in Columbus are more or less set. It’s going to be difficult for him to make the team straight out of camp and it is more likely he starts the season with the Lake Erie Monsters. If injuries and/or suspensions occur (yes I mean you David Clarkson), it seems realistic that he is the first call-up option for a bottom-six winger position. The term rookie sounds a little strange when using it for a 33-year-old and is technically incorrect, but I have included Yevgeni Medvedev in this article since he is a newcomer to the NHL. It will be his first season playing outside of Russia, but the Chelyabinsk native participated in the last four World Championships for Russia as well as in the Olympics in Sochi. 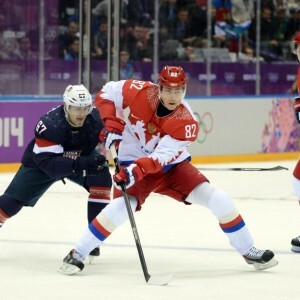 Medvedev is therefore not quite a rookie and should rather be considered a veteran. There is a fair chance he makes the team as he has had a decent camp so far. Medvedev, who stands 6 feet 3 inches, 198 pounds, would be the tallest of the Flyers defencemen next season. According to our Flyers contributor, his size will be a welcome addition as the Flyers have seen both Braydon Coburn and Nicklas Grossmann traded in the past several months. Medvedev is a defender who sees the ice very well and plays with a high hockey IQ, but don’t expect too many points from him this season as he isn’t the offensively skilled defenceman. I assume he makes the team and gets a spot with the Flyers, especially now that Shayne Gostisbehere was sent down to the Phantoms, plus I do see Medvedev ahead of fellow defencemen Nick Schultz and Brandon Manning. 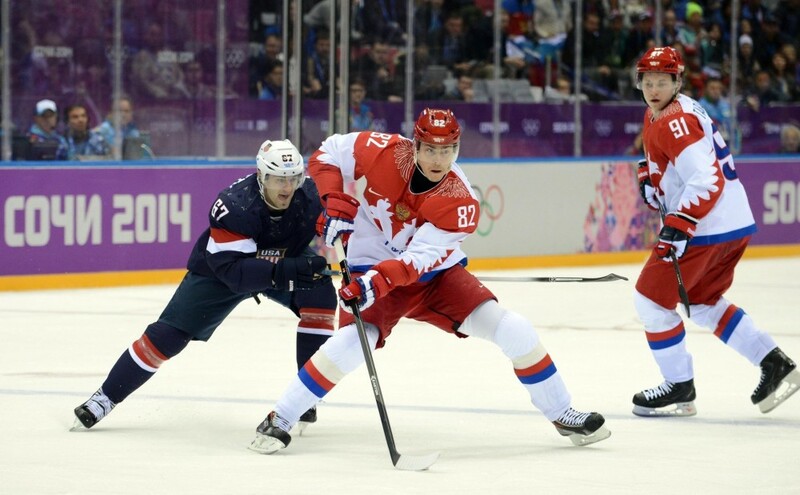 There has been some discussions about if Russian winger Sergei Plotnikov makes the team and where he should play. The impressive part about Plotnikov is surely that he bought himself out of his contract with KHL team Lokomotiv Yaroslavl in order to follow his dream and sign with the Pittsburgh Penguins. He came over to North America early this summer for adjustment reasons. Those are all strong indications for Penguins fans that Plotnikov is eager to make a splash in the NHL. I was very impressed with his play at the past two Worlds and look forward to see what he can do with the Penguins. Kunitz-Crosby-Kessel continues to be a line during today's practice, while Malkin remains between Plotnikov and Hornqvist. He is a winger with good size, protects the puck well and isn’t afraid to get involved physically. His vision is above average and he has a nose for the net. He likes to go to the slot to screen and feels comfortable around the net. The biggest question for me is if he will get top-six minutes. My feeling says that David Perron, Patric Hornqvist and Chris Kunitz are ahead of him and he will end up being the third line winger.